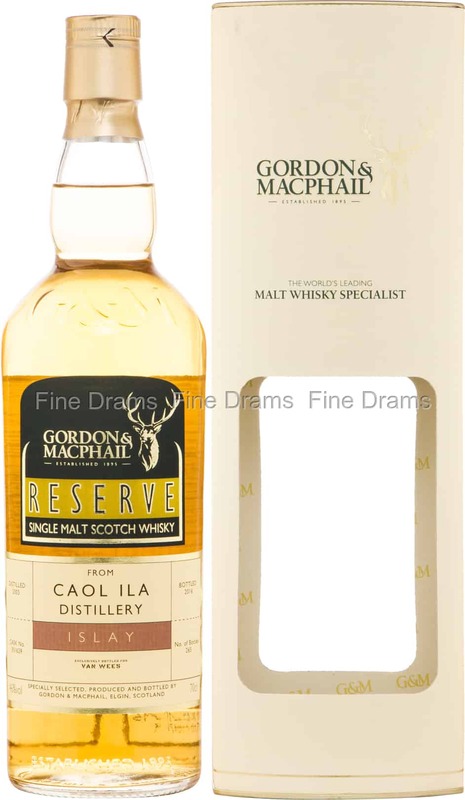 A cracking dram from Islay distillery Caol Ila, presented by world famous Elgin bottlers Gordon & MacPhail exclusively for the Dutch whisky sellers Van Wees. Aged for 11 years, this is a single cask release, having been matured in Bourbon barrel number 301629. A classic Caol Ila whisky, this is packed with powerful peaty flavours, stone fruit, vanilla, grassy malt, earth, spice, oak, and honey. Bottled at 46% ABV, and without either chill filtration or colouration, this is quality Gordon & MacPhail production. Just 265 bottles are available world-wide.